Since 1970 there has been about 44 million abortions. I didn't say you made up numbers. Throwing around numbers means your introduced numbers into the conversation. Asking how many live births helps to digest the abortion number - as I said - gives it some context. I don't know what "numbers don't matter" means anyway. The conversation about the permissibly of abortion at any state of pregnancy - is of no consequence to a conversation about third term abortions. I'm still finding it hard to believe the ratio of live births to abortions... but it is what it is. I happen not to be particularly upset about it. Got it thanks. The ratio I calculated then was incorrect. Thought these stats were interesting. Most abortions do happen earlier then 3rd trimester even where allowed. 699,202 abortions reported to the CDC in 2012, 0.17% (1,186) were at or after 21 weeks and occurred in a state where it was possible to have a post viability abortion for any reason. 1.3% of abortions at or after 21 weeks are for anomalies and the vast majority are before 24 weeks. There are approximately 600 abortions a year after 24 weeks and most are for fetal anomalies. You think that the "health of the mother" as determined by doctors is "elective"? First we're talking about the risk of doctors aborting a woman who is in her 39th week of pregnancy because she says that her boyfriend would "kill" her if she had a baby. And claiming that if we don't put in protections, that's going to happen. Its very unlikely to. To me, its like ranting that a Jewish woman shouldn't consult her rabbi if she's medically advised to abort due to a very high risk of maternal death, because the rabbi could tell her that just means that Hashem meant her to die. Its not going to happen. And either is a doctor aborting a woman in her 39th week with a healthy fetus because her boyfriend would "kill" her. So then the argument shifts to health of the woman at 24 weeks, which is considered late term abortion, and you're acting as if they're both the same thing. Everyone has the fundamental right to life. Doesn't mean I can't let you drown if you are pulling me under water and putting my health at risk. No Republican lawmaker is trying to make medically necessary abortions illegal. On the other hand there are many pro-choicers who say it is 100% the mother's choice, any time, for any reason. The democratic platform used to call for safe, legal and rare abortions. In 2016 they dropped the word "rare". Coincidence? The DNC invited the president of NARAL (National Abortion Rights Action League) proudly share that she aborted her child simply because it wasn't a convenient time. The audience applauded enthusiastically. So don't tell me that it 'both sides'. The pro choice movement says it must be all or nothing. The pro life movement is against elective abortions. Please read my posts more carefully. I have never said that. An elective abortion is when the mother's health is not at risk and there is no fetal abnormality. I did. These are exact cdc birth numbers per year. Maybe my math was off on the sum total. Because based on this estimate 125 million births make more sense. Then the ratios of abortions to births is way higher. I'd like to see numbers for the bolded please. If even one elective abortion is performed after 21 weeks, that is a tragedy beyond comprehension. Laws must be put in place that allow medically necessary abortions, but ban elective ones. 35 years time 4 million is???? They were done in states that don’t allow otherwise. 1000 were done in states that allow for any reason. The others were not. 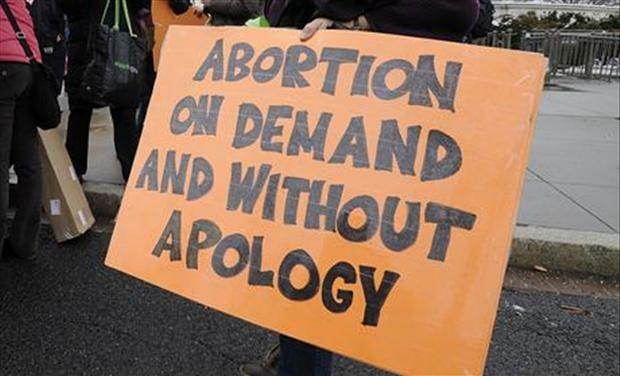 NY law does not permit "elective" abortions after 24 weeks. Abortions are limited to situations where the health of the mother is threatened (according to the practitioner’s reasonable and good faith professional judgment based on the facts of the patient’s case) or the fetus is not viable. Since we were discussing NY law, it seemed obvious to me that you were conflating this standard to late term abortion on demand. But here's the thing. In the US, abortion is regulated on both the state and federal levels. So while the FEDERAL government doesn't ban late term abortion on demand, there are state laws. As far as I can tell, 43 states limits the right to abortion either after "viability" or after a specific gestational age. Would you adopt him if his mother chose not to abort, but could not deal with his health issues? How do you define "quality of life"? Where is the line you cross whether someone should live or die? What I would do isn't relevant. The question is what the mother has the right to do. But if we are making it personal, there are about 102,000 children in the U.S. foster care system waiting to be adopted. The numbers of children who are waiting to be adopted show that from thirty to fifty-percent experience a form of developmental disability. So 30,000 to 50,000 children. Today. How many of these children have you stepped forward to adopt? The answer is none for me. BH I've not been faced with those issues, but I don't know if I could handle it. Very few of the children in the foster system were in the system as babies. Most of them are children who are considered to be "disturbed" after having gone through terrible early childhood years. It is far easier to take in a child with medical needs than it is to take in a child that can potentially harm your other children. I am at the moment not in a position to take in any additional children especially children with significant needs but I do hope to be able to when most of my own children are grown. another point I left out is many families that are fostering children do not want to adopt them because as soon as they sign adoption papers the government stops paying them for taking care of this child. As long as they are fostering and not adopting they continue to get a monthly stipend. Very often children in care are in loving homes without being formally adopted. So because you couldn't handle it, the baby should be murdered?!?! They still have the right to live. And you can never predict where those children will end up. Even if they do end up with a developmental disability, should they not live?! My sister's good friend's father was born with a congenital heart defect and was predicted not to live past infancy. The doctors later told him he wouldn't live past 20, and then that he would never have children. Well, he lived until 49 and had 2 children. Just because the doctors say something, doesn't mean it's true. The million dollar question - when does the 'right to live' start?